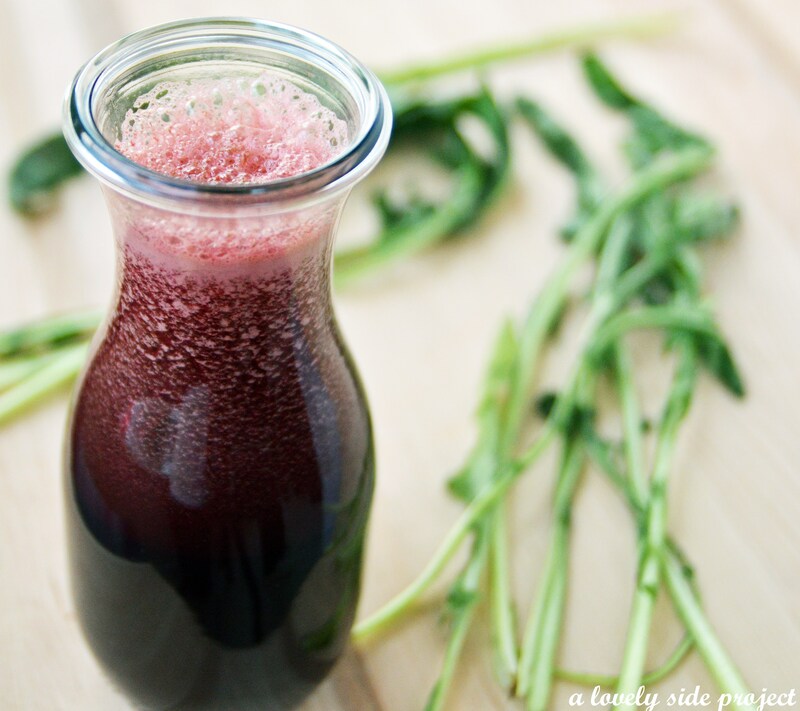 Detoxifying Recipes To Start Your New Year Off Right! Feeling a little weighed down post-holiday? 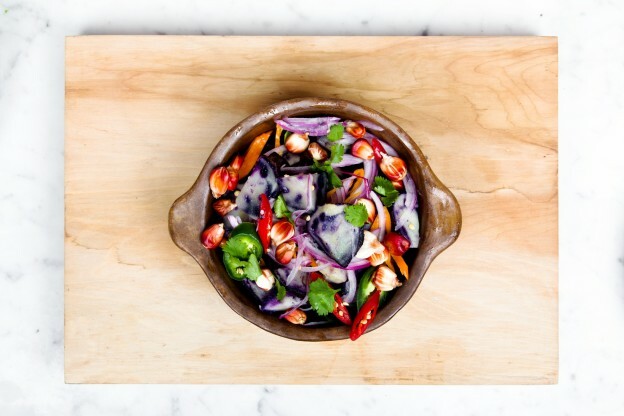 These light and refreshing recipes will help you detoxify and get back on track – without feeling deprived! 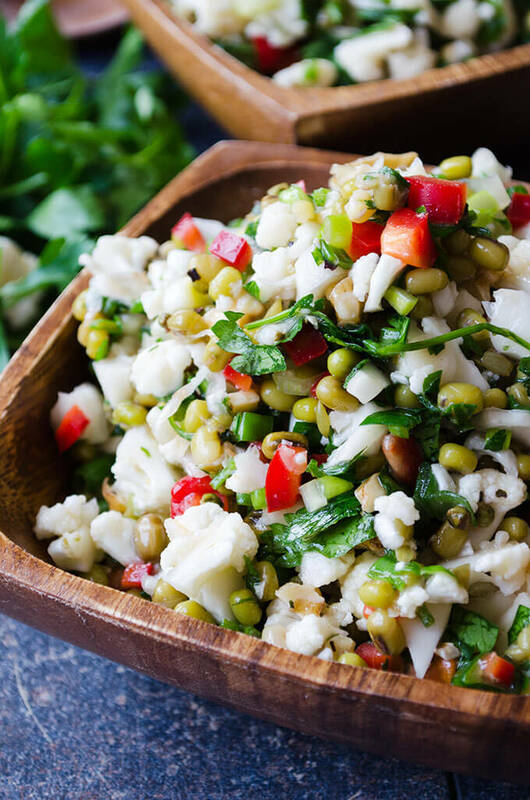 This crunchy salad featuring cauliflower, mung beans and bell pepper is a refreshing option after a heavy meal. Dandelion greens are awesome for helping to detoxify your liver and kidneys while also boosting immunity. 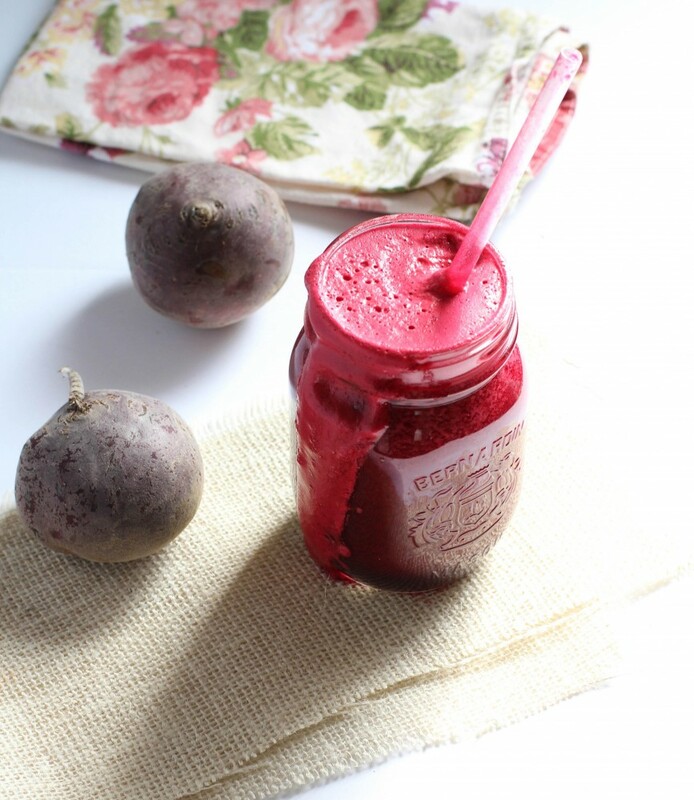 Combine them with beets for a juice that’ll give you a boost. 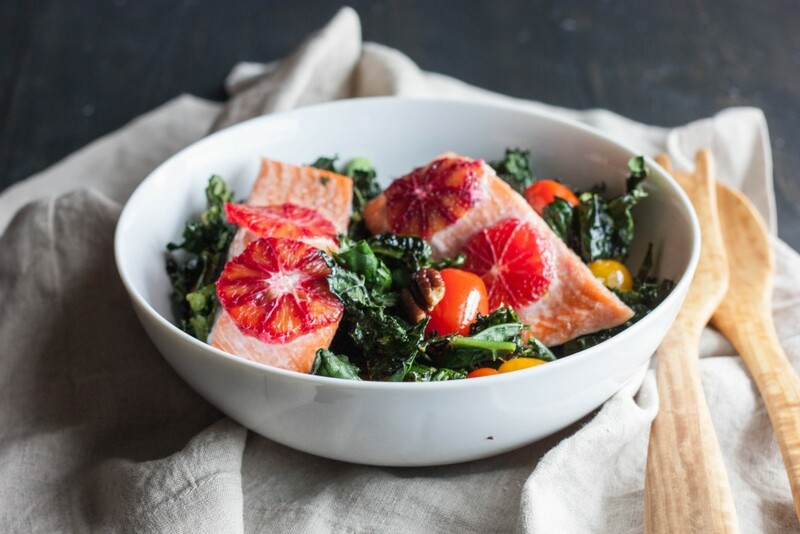 Cooked all in one pan, salmon, which is rich in omega-3 fatty acids, blood oranges, cherry tomatoes and pecans all sit atop a bed of nutrient rich kale. 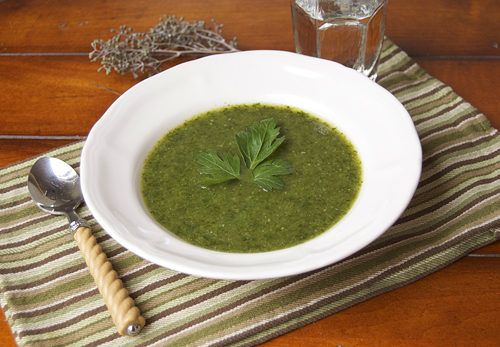 Lean, mean and green, this detoxifying soup contains ingredients like green beans, celery, zucchini, spinach and plenty of fresh herbs. 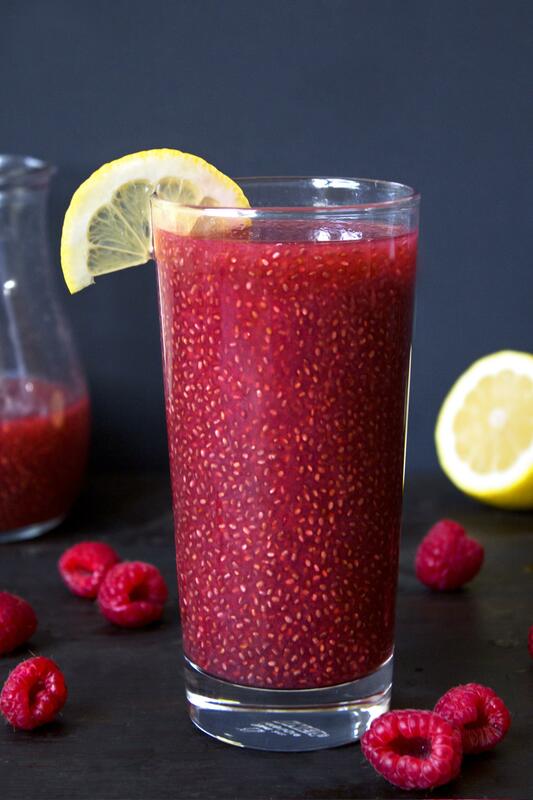 Make your own flavorful chia drink at home with antioxidant-rich green tea and raspberries. 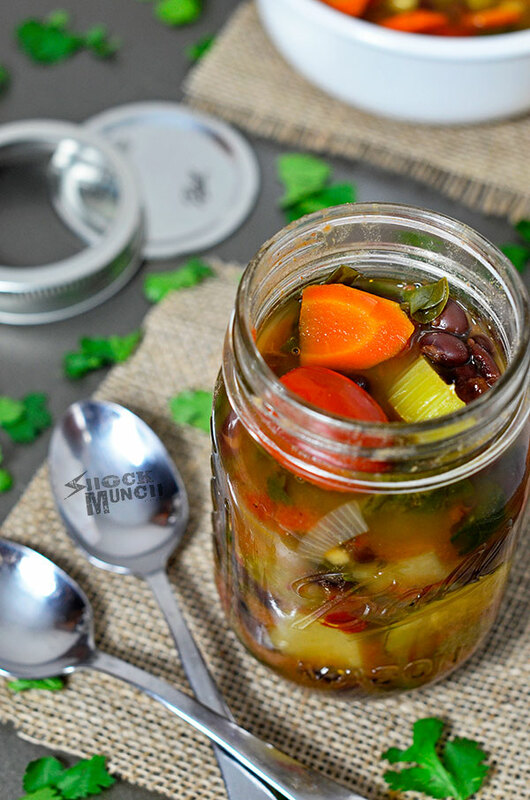 Save time with this slow cooker soup which is packed to the brim with nutritious veggies and added beans for protein and fiber. 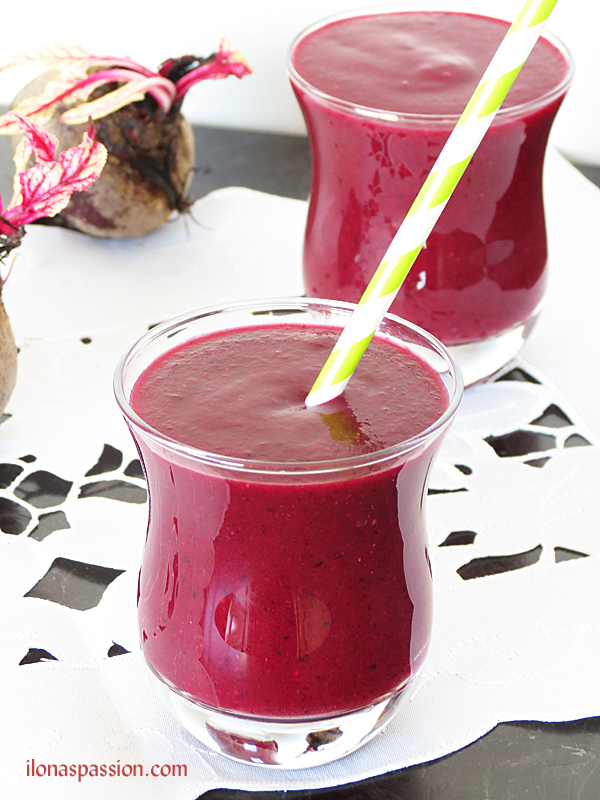 This smoothie pairs beets with berries for a sweet-tasting smoothie high in antioxidants. 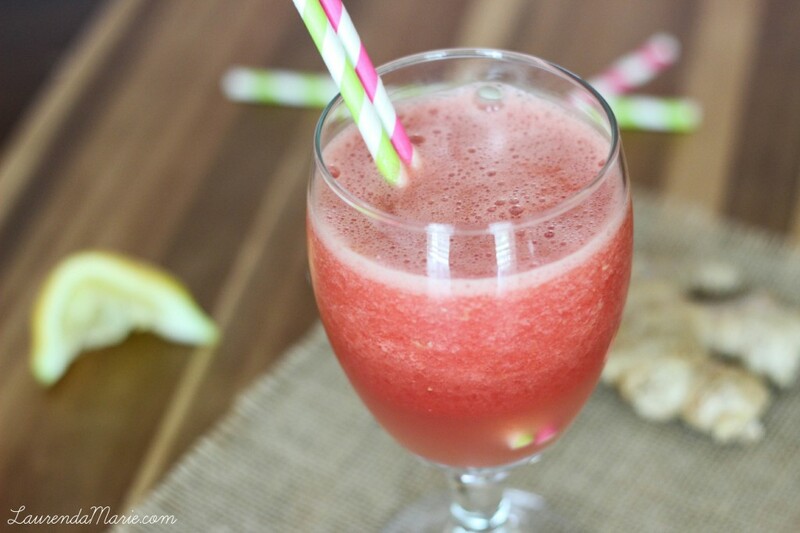 This juice contains ginger and lemon to help improve digestion and reduce inflammation, as well as watermelon and coconut water to help rehydrate you. If you’re looking for a sipper to help detoxify while sticking to your regular diet, this water fits the bill! Not only is it a tasty way to drink more water, but the cinnamon helps to regulate your blood sugar and improves heart and brain health. 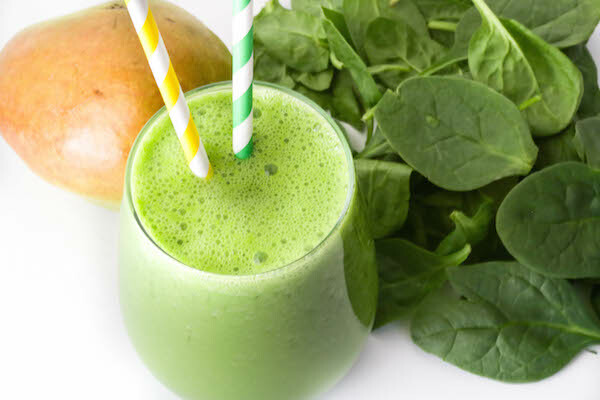 This satisfying smoothie is great for helping to re-balance your system. 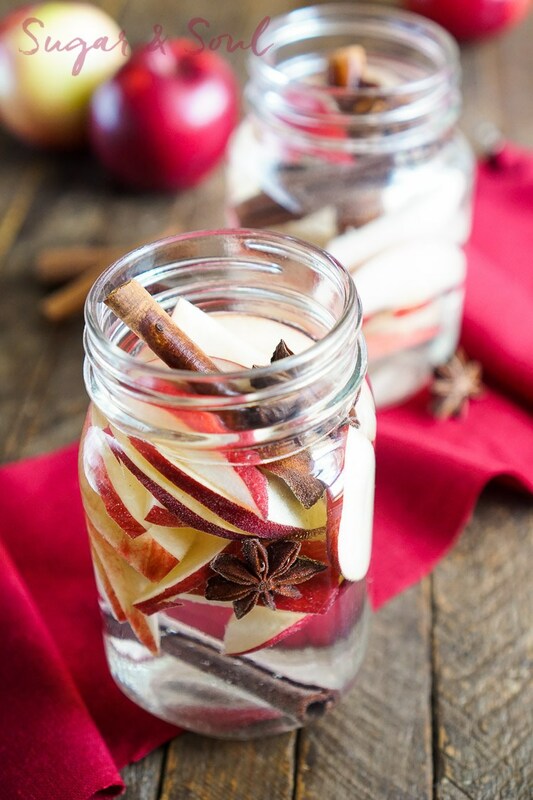 Yogurt adds healthy probiotics while the fibrous pear and ginger is excellent for your digestive system. 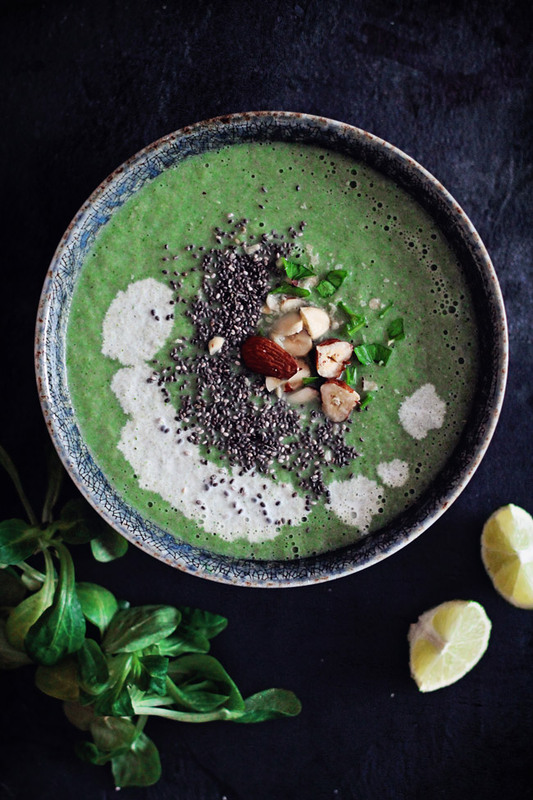 This beautiful soup is loaded with healthy greens like kale, celery and broccoli as well as healthy additions like chia seeds to help you get a ton of nutrients in one bowl. 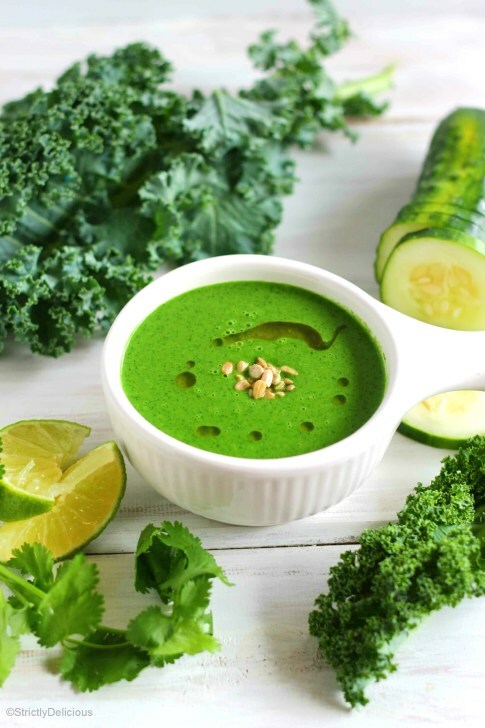 This gorgeous red juice is an energy booster thanks to beets and a mega dose of Vitamin C.
This raw soup is made in a blender and includes kale, broccoli, coconut and cilantro – yum! Lina suggests serving it over brown rice or quinoa if you’re needing a fuller meal. This entry was posted in Recipes and tagged detox juice, detox salad, detox soup, detoxifying recipes, detoxifying smoothies, healthy recipes, sugar detox on January 5, 2016 by Janelle Martel.